In order to keep up with the growing desire to remain healthy and look good, we seek to make exercise and food supplements an essential part of our lifestyle. One of the direct consequences of this has been the growing popularity of Protein powders which help in building muscle strength, reduce body fat and aid in weight loss. Protein is an essential macro nutrient which makes this protein supplements in high demand in the market. It is consumed not only by professional athletes and weightlifters but also people like you and us who want to achieve a strong, muscular and healthy body. The protein in the powder can be extracted from plant or animal source and there are numerous types of proteins that can be found. With tons of options available in the market, picking the best protein powder might turn out to be slightly tricky. We are here to help you. 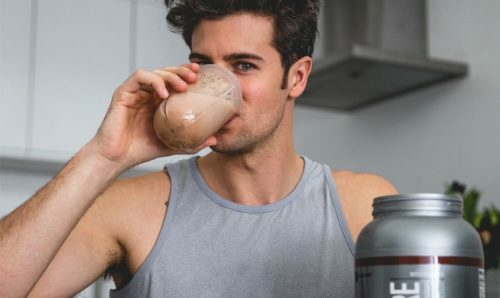 In this review we look at the ten best protein powders in 2019 which will help you attain that perfect body. The MuscleTech NitroTech Protein Powder is a whey better – pun intended – product than most protein powders the market. This whey powder is made from whey protein peptides and whey protein isolates and has been fortified additionally by adding 3 grams of creatine monohydrate. This combination helps in building more strength than regular whey protein powder as claimed by the manufacturer by citing a study in which subjects consuming this whey protein powder were able to gain 70% more lean muscle as compared to those who consumed regular whey protein and 4 times more than those who were consuming placebo. This protein supplement also contains 5g of glutamine and precursor, 6.8g of BCAA. It provides 30g protein per scoop of approximately 48g and can serve up to 38 servings. The impurities like lactose or fat are removed or reduced to a significant extent through a cold microfiltration process used in manufacturing this whey protein powder which is a more effective method when compared to heating and using harsh acids. It contains pieces of marshmallows, natural and artificial flavors for greater taste. It is recommended only for persons 18 years and above. See more information on MuscleTech NitroTech Protein Powder Plus Muscle Builder. Whey protein peptides and isolates with creatine monohydrate. 70% more lean muscle than regular whey protein powder. 30g protein per scoop of 48 g.
5g glutamine & precursor and 6.8g BCAA. 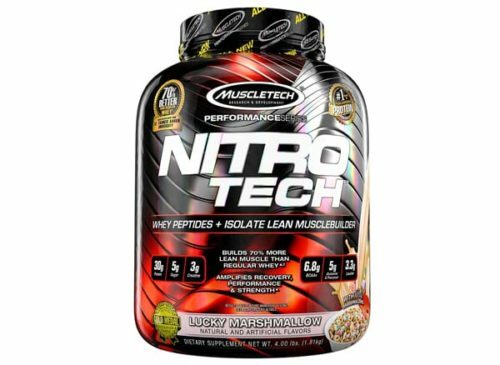 The MuscleTech NitroTech body is the top on our list of the best protein powder and best overall. With its cold microfiltration technology, this protein supplement gives you one of the purest protein powders available and the addition of creatine monohydrate provides 70% more lean muscle making this protein powder one of the best whey protein powder in the market. You can certainly go for this. 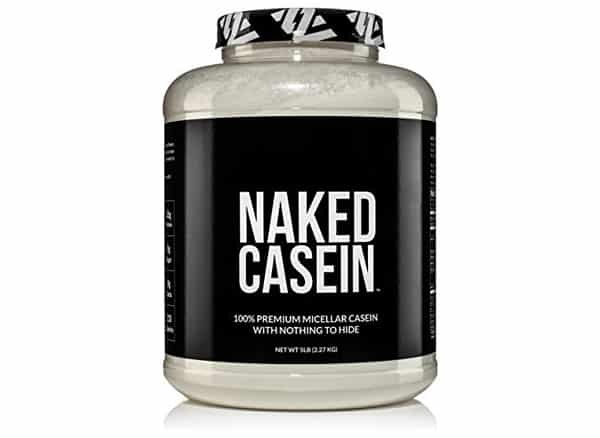 The Naked Casein Protein powder, true to its character is stripped of all artificial flavors and sweeteners and colorings and is a 100% pure Micellar Casein Protein. This top protein powder is free from Soy, GMO, Gluten and any growth hormones. The raw material for this clean protein powder is sourced from US farms which ensures its top quality and guarantees that the protein supplement will be packed with all the essential amino acids and BCAAs. The manufacturer uses a rGBH-free skim milk to produce a slow-release micellar casein. The Naked Casein is cold pressed and not subjected to heat, making it free from any chemicals and harsh acids and ensuring that all the nutrients remain intact. For each serving of 2 scoops, it provides 26g of protein, 5.9g of BCAA and 2g of sugar and will give up to a total of 76 servings and perfect for stimulating muscle gain and recovery after intense workouts. See more information on NAKED CASEIN – 100% Micellar Casein Protein. 100% Pure Micellar Casein Protein. Free from artificial flavors, sweeteners and colorings. Protein obtained from rBGH-free skim milk. Cold Pressed to ensure nutrients remain intact. Free from Soy, Gluten, GMO and growth hormones. The Naked Casein is the second on our list of the best protein powder and the best premium. One of the top protein powders, it is made using high quality milk and boasts of pure natural content without any addition of artificial flavors. If you are looking for something that delivers what it says, you should definitely go for this premium protein powder. Free from any growth hormones or GMO and flavors makes this product a standout and certainly give it a try. 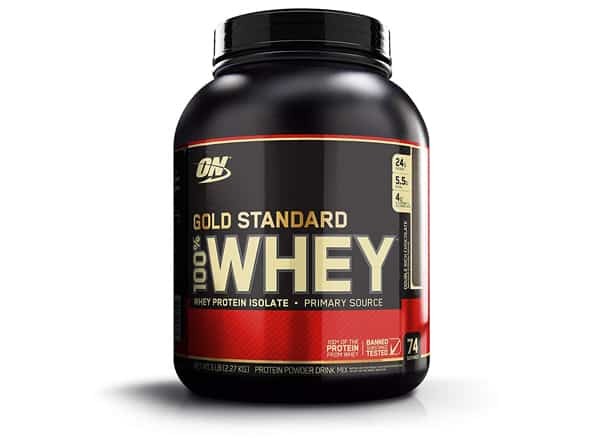 A product from one of the leading premium sports nutrition brands, the Optimum Nutrition Gold Standard is a top protein powder made from 100% pure whey protein isolates and is a perfect ingredient for muscle recovery after your workout sessions. Each serving of around 30g contains 24g whey protein, 5.5g of naturally occurring BCAAs and 4g of naturally occurring glutamine. This whey protein powder is totally gluten free and in addition to the whey protein isolates it also contains ultra-filtered whey protein concentrate for ideal muscle building. This product comes in a very yummy double rich chocolate flavors but Optimum Nutrition allows you plenty of options and you can choose your favorite from the 20 different flavors. 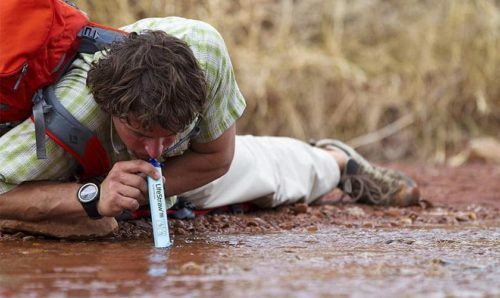 The shake mixes easily with water or milk and you can drink anytime before or after exercise. See more information on Optimum Nutrition Gold Standard 100% Whey Protein Powder. 100% Pure whey protein powder. Contains ultra-filtered whey protein concentrates. 24g protein in each serving. 20 different flavors to choose from. Mixes effortlessly for a quick drink. 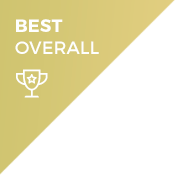 The Optimum Nutrition Gold Standard is the third on our list of the best protein powders and the best value. With its ultra-filtered whey protein concentrates and amino acids, this whey protein powder is ideal for building muscle strength. And with 20 different flavors to choose from and easy mixing with water, achieving a strong body would be a totally delightful experience. This whey powder, is something you can definitely consider buying and it doesn’t cost too much either. 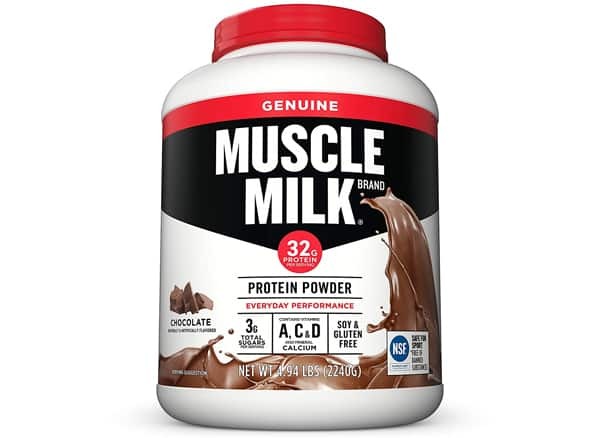 The Muscle Milk Genuine Protein Powder is a fine blend of whey and casein protein to provide you a protein supplement that is ideal for muscle building and recovery. This top protein powder packs in a host of vitamins like A, C and D along with magnesium, calcium and phosphorous to give you a balanced nutritional option. It contains 32g protein per scoop size of 70 grams and can provide up to 32 servings. This protein supplement contains all the nine essential amino acids that help in building lean muscle by providing all the proteins needed by the body. The proteins contained in this protein supplement have a Protein Digestibility Amino Acid Score (PDAAS) of 1 which is the highest score a food protein can achieve. This product is NSF certified which means it is free from any contaminants and totally safe for consumption. Coming in chocolate flavor it is ideal for making shakes, smoothies and cupcakes. See more information on Muscle Milk Genuine Protein Powder. Contains Vitamins A, C and D and Calcium, Phosphorous and Magnesium. Packs in all the 9 amino acids. Has the highest possible PDAAS score of 1 for its proteins. With a host of minerals and vitamins to go along with a fine blend of whey and casein, this protein powder certainly counts itself among the best protein powders in the market. The NSF certification and the Protein Digestibility Amino Acid Score (PDAAS) score of 1 is testimony to the safety and quality of this product. Ideal for muscle building and exercise recovery, you can definitely include this protein powder in your shopping list. For those who follow or are looking to switch towards an organic diet based lifestyle, this product will certainly please you. Here’s a purely organic protein powder containing completely organic ingredients for a healthy nourishment option post workout or as a regular meal. 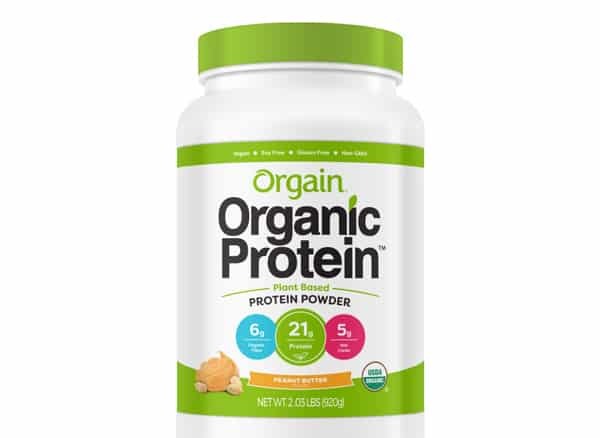 The Orgain Organic Protein Powder contains organic plant-based protein, organic pea, organic chia seeds and organic peanut flavor. This clean protein powder is gluten free, soy free, non-GMO, dairy free and contains no artificial flavors and preservatives. Each serving of this protein supplement contains 21g protein, 6g dietary fiber and 3g net Carbohydrates. The serving size is of two scoops totaling 46 grams and you can get up to 20 servings. It packs in all the essential amino acids needed for muscle building and recover. This protein powder comes in peanut butter flavor and tastes delicious. See more information on Orgain Organic Protein Powder. Clean Protein Powder – Soy-Free, Gluten-Free, Non-GMO and no artificial flavors. 21g protein and 6g dietary fiber per serving. Low carbohydrate content aiding in weight loss. Contains all the essential amino acids. The Orgain Organic Protein Powder is a clean protein powder and would appeal to all the vegans and persons who want to go the organic way. This protein supplement contains only organic ingredients and packs in all the essential nutrients making it an ideal nourishment option for building muscle strength and as a regular meal. You can certainly opt for this protein powder in a move towards a healthy lifestyle. 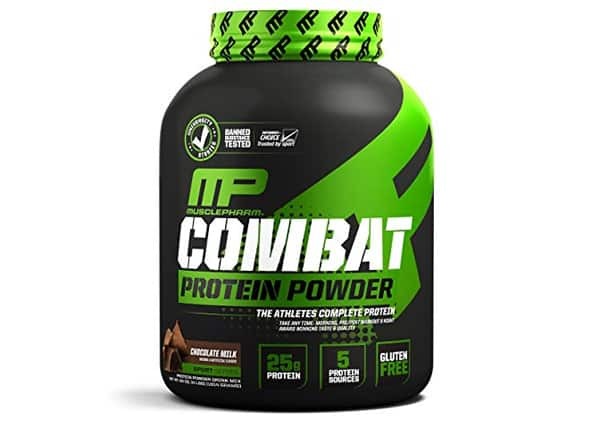 The MusclePharm Combat Protein Powder is a unique blend of 5 protein sources including fast and slow digesting proteins nourishing the muscles for longer performance. This protein supplement is an optimum mix of Whey Protein Concentrate, Whey Protein Isolate, Whey Protein Hydrolysate, Micellar Casein and Egg Albumin and develops leans muscles and greater strength. Each serving of this protein powder gives you 25g protein per scoop and can provide up to 52 servings. The presence of BCAAs and glutamine in this whey powder further aid in muscle development and repair and recovery. It is gluten free, low fat and free from any banned substances. This protein powder comes in a tasty chocolate flavor. You can mix it easily with water or milk to make smoothies and shakes. See more information on MusclePharm Combat Protein Powder. Optimum blend of 5 Protein sources. Slow and fast digesting proteins for longer performance. 25g protein per scoop and added BCAAs and glutamine. Gluten free, low fat and free from banned substances. The Muscle Pharm Combat Protein Powder with its unique blend of 5 proteins delivers a superior product for greater performance. Free from any banned substances, it is ideal for athletes as they can be sure of its quality and the results it would deliver. The presence of BCAAs and glutamine and a low-fat composition further aid in developing lean muscles and strength. Plus, it comes in a delicious chocolate flavor. 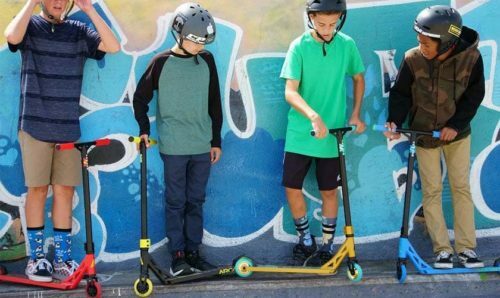 You can definitely include this in your shopping list. Another whey protein powder, this time from Isopure, this protein powder contains 100% whey protein isolate and is mixed with a host of vitamins like Vitamin A, C, E, K B6 and B12 and other minerals like Calcium, Phosphorous and Manganese to deliver you an ideal product for building muscle strength and recovery. This whey protein powder contains 25g protein per serving of a single scoop of 33g and can provide up to 62 servings. It is free from gluten and lactose and has almost zero carbohydrates which ensures your weight is always in check. This protein powder undergoes several microfiltration processes to get rid of several impurities and get a clean protein powder. It comes in several delicious flavors, Dutch Chocolate being one among them and mixes easily with water or milk to make delicious shakes and for other lovely recipes. See more information on Isopure Protein Powder. Packs several Vitamins and Minerals. Up to 62 servings with 25g protein per serving. 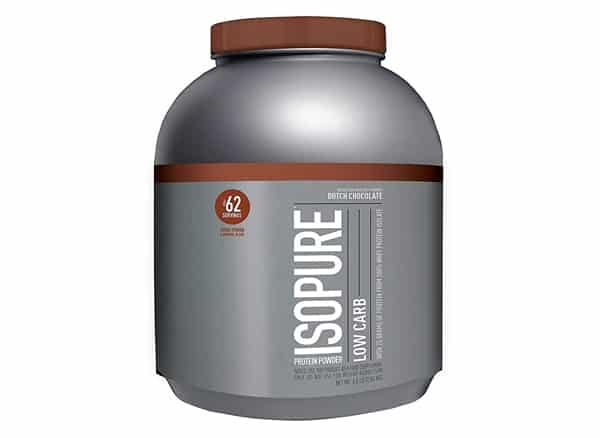 The Isopure Protein Powder with its low -carb content is an ideal whey protein powder for weight loss and muscle gain. Stuffed with numerous vitamins and minerals and the microfiltered best whey protein isolate, it is an ideal protein supplement for post workout. The delicious flavors this whey powder comes with, will keep tingling your taste buds and you will crave for more. Certainly, a product worth trying out. 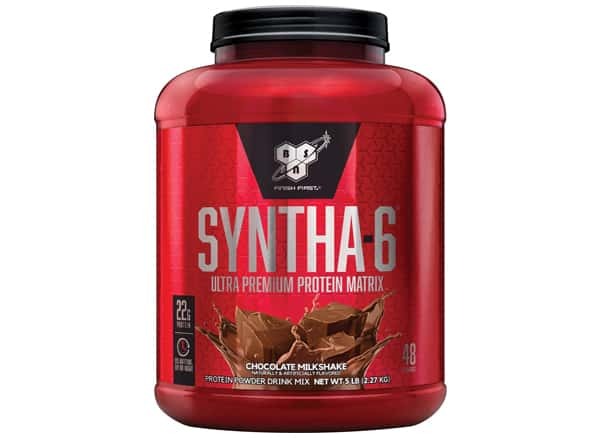 The BSN Syntha 6 Ultra-Premium Matrix, like the Muscle Pharm Combat is a blend of several protein sources to provide you a superior protein powder that will power your muscles for long duration. This top protein powder is a mix Whey Protein Concentrate, Whey Protein Isolate, Micellar Casein, Milk Protein Isolate, Egg Albumen and Glutamine Peptides. This whey powder contains 22g of proteins per serving of 47g and can provide up to 48 servings. It is also added with the essential amino acids, fatty acids and fiber to make it a comprehensive protein supplement for a healthy lifestyle. The BSN’s exclusive flavor technology is designed to provide extremely delicious flavors to combine nutrition and taste in one. However, this whey protein powder also contains 2 – 3 g added sugar per serving depending on the flavor. See more information on BSN SYNTHA-6 Ultra-Premium Matrix. Ultra-Premium blend of several protein sources. Fueling muscles for long duration. 22g of proteins per serving and up to 48 servings. Includes essential amino acids, fatty acids and fiber. The BSN Syntha 6 Ultra- Premium Matrix is an affordable protein powder that combines the goodness of several proteins into one product. With its unique blend of proteins, amino acids and fibers, it gives a protein supplement that delivers on performance. And with its delicious flavors, you would truly enjoy slurping on protein shakes or savoring healthy snacks made out of this protein powder. Another organic protein powder, this time from Garden of Life. The Raw Organic meal is a complete 100% organic product with organic plant-based protein, and several power packed organic ingredients like organic grass, juices, fruits and vegetables and 6g of fiber to keep you fulfilled and extremely healthy option for developing lean muscle and strength. 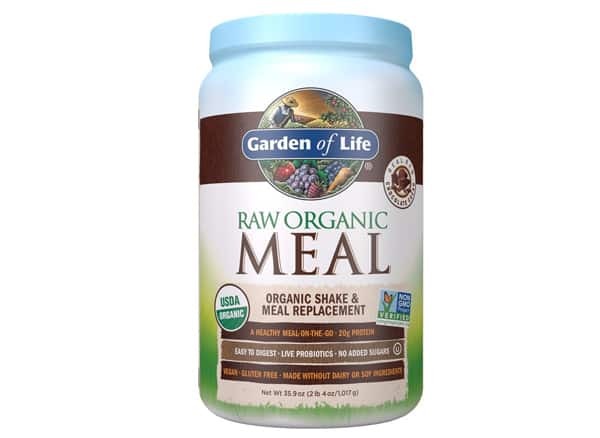 See more information on Garden of Life – Raw Organic Meal. Packed with 44 superfoods including 21 vitamins. Each serving contains 20g protein with up to 28 servings. Free from Gluten, Soy, Dairy and Non-GMO. Certified by a host of agencies. The last product on our list of the best protein powders is the Xtend Pro. This whey protein powder consists of 100% pure whey protein isolate and is enhanced with amino acids to help you achieve perfect muscle recovery after your exercise routine. This whey powder is specifically made for muscle recovery post workout but can be consumed even on rest days as per personal needs. Each scoop of this protein supplement contains 25g of whey protein isolate, 7g of BCAAs. It is a low carb, low fat and contains almost zero added sugar to aid in weight loss and build muscle strength. Plus, it is gluten free as well. This whey protein powder has been certified safe by NSF and Informed choice so athletes can easily pick up this product without having to worry about its composition. Also, you get it in 4 different tasty flavors for a mouth-watering meal. See more information on Xtend Pro. Made from 100% pure whey protein isolate. Low fat, low carb, zero sugar and gluten free. Ideal for Post workout muscle recovery. 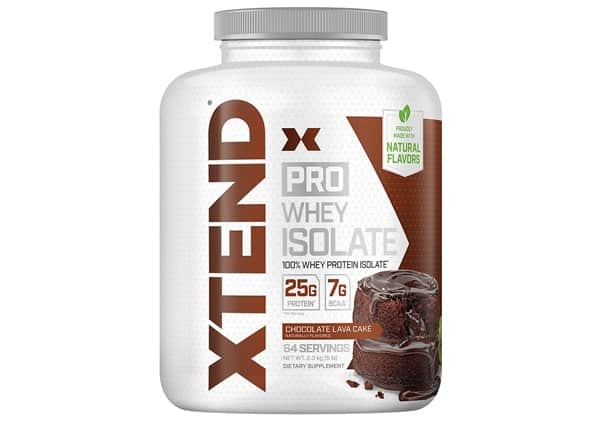 The Xtend Pro whey protein powder with its pure whey protein isolates, amino acids and low carb- low fat, gluten free content is an ideal composition for muscle recovery after workouts. The certification from leading agencies gives this product lot of credibility in terms of quality and safety and four different flavors give it a tasty edge. This protein powder certainly deserves a go. Protein powder is essentially a powdered form of protein extracted from plant and animal sources and the mixed with several amino acids, vitamins and minerals to give you a perfect food that helps in muscle growth and aids in muscle recovery post your workout routine. After workout sessions, the muscles experience lot of wear and tear which may lead to stiffness in the muscles. The proteins which we get from our normal food intake would not be enough to repair these muscles quickly. By taking protein supplements in the form of protein powder, you give your body enough protein so it can speed up the recovery of muscles and enhance further growth. 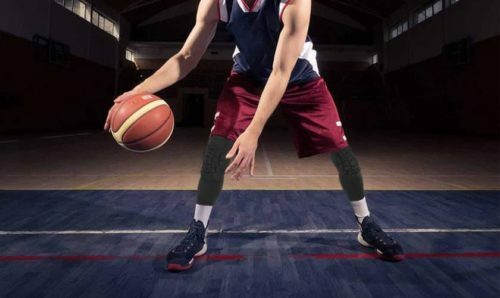 It can be highly useful for professional athletes and weightlifters who need to build muscle strength and flexibility to excel in their sport. Protein Concentrates: Protein extracted from various sources by heating and using acids and enzymes. They are 60 to 80% protein and rest are fats and carbs. Protein Isolates: Further filtering the protein concentrates removes more fats and carbs and you get a concentration of around 90-95% protein. Protein Hydrolysates: If you heat the isolates further you get the Protein Hydrolysates which can be absorbed very quickly by the body. Whey Protein: A form of protein obtained from milk. It can be absorbed quickly by the body and is rich in Branch Chain Amino Acids (BCAAs). While whey protein concentrates may contain lactose, whey protein isolates contain very negligible lactose. Casein Protein: A form of protein obtained from milk but is absorbed slowly by the body. The result is that your muscles are exposed to the protein slowly and hence they can be fueled for longer time. Egg Protein: Protein obtained from eggs. They are absorbed quickly and is rich in the BCAA called Leucine which is very essential for growth of muscles and their recovery. Plant based Proteins: Proteins can also be extracted from various plant sources like peas, brown rice etc. This is good for vegetarians and vegans who don’t want to opt for animal based products. 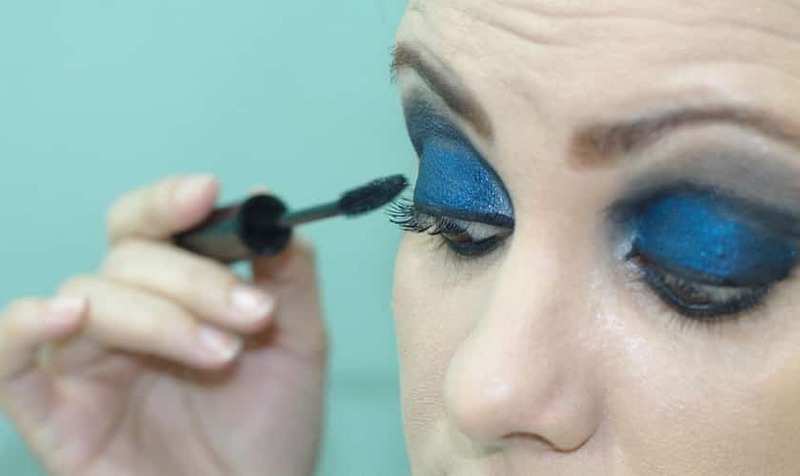 It is also a good option for people who want to opt for purely organic products. How Much Protein Powder can you take daily? The Recommended Dietary Allowance (RDA) for protein is 0.8gms per kilograms of body weight per day. So, a person weighing around 80 KG will need 64g of proteins every day. Most of the protein powders come with 25g to 30g of protein per scoop which is well within the recommended daily dose of protein. You may need to take up to 2 scoops every day to make for the protein, your body needs. 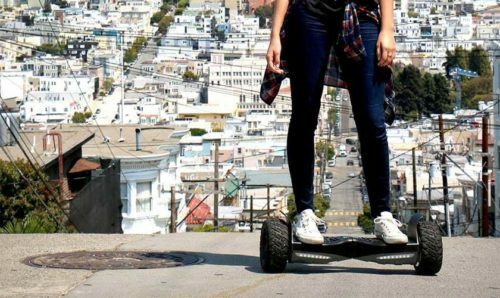 We started out with only one goal in mind – to provide balanced informative product reviews to help consumers make the best buying decision.